Yesterday, we featured how Godzilla should have ended. 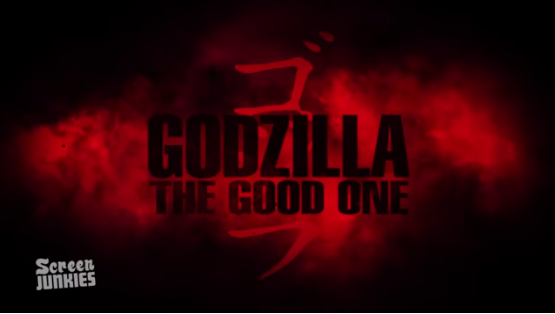 Let's pile on again with Screenjunkies Honest Trailer for Godzilla (2014) . Relive the heavily obscured and sparing shots of Godzilla, heroic family abandonment, and lots of staring. And again, Bryan Cranston's cameo was a ripoff. What did you think of the Honest Trailer? Funny. There is a "Everything wrong with" vid for this film as well. No one stares, or delivers awesome lines like Ken Watanabe.